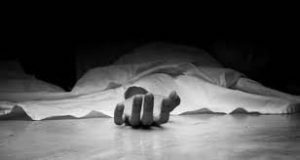 Police Report: A 23-year-old man was killed by the family members of his girlfriend, his body was found in the bushes of Murbad Town, Maharashtra on Thursday. The police said that they have arrested 2 out of the 3 accused people in the case. 23-year-old Kalpesh Chowdhari was in love with the sister-in-law of Nandu Mhadse who lives in the same village with Kalpesh. The girlfriend of Kalpesh was a resident of Ambernath. The relationship of Kalpesh and the girl was not accepted by the brother-in-law of the girl and Nandu Mhadse. Nandu added that the family of Kalpesh and the family of the woman often fought about their relationship. Earlier this month, Kalpesh went missing, the police found his decaying body behind a farmhouse near the Murbad-Mhasa Road. The police added that the body of Kalpesh was decaying. Preliminary investigations revealed that 3 family members of the woman beat up Kalpesh and dumped his body when he passed away.